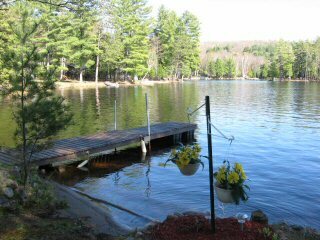 Family friendly 3 bedroom cottage on Benoir Lake. Open concept kitchen/dining area, and large living room. Vaulted ceilings, large windows and skylights, let in lots of natural light. Enjoy the deck, the large level yard, and firepit. Good dock and walk in here for good swimming. Great for families! 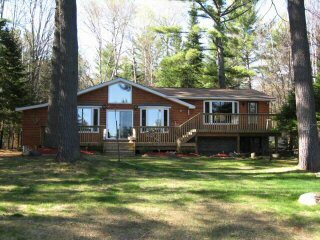 Large split level Deck along the front of the cottage. Skylights in the Kitchen/living room.